Recently while I was beading I realized, as much as I love it (and I REALLY do)- I love paper crafting even more. Something about getting to emboss, paint, stamp, ink, spray, cut, paste, mold, burn, tape, glitterfy, etc... I LOVE paper. Anything paper related. 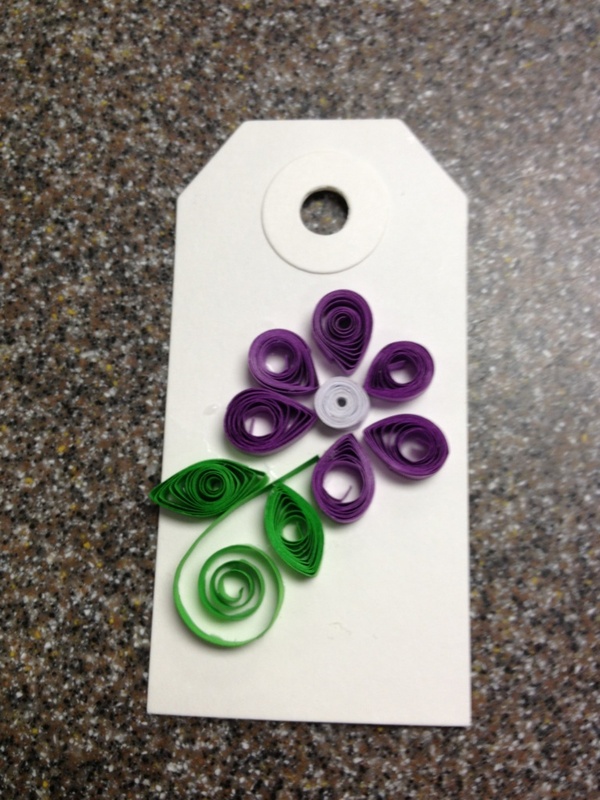 I think that's why when I heard about quilling I couldn't wait to get started. The problem with finding a new craft, is buying all of the goods to make whatever it is you want to do. Prime example, Watercolor classes were relatively cheap last summer, about $50. I happened to have coupons and bought my paint set (about 7 colors), a few brushes and a palette from different stores. Paper was cheap..ish and away I walked satisfied. That is until I realized I didn't have purple paint (and yes I could mix the colors I had, but my blue was too dark and made the purple too dark and adding white... well... watercolors are tricky). So back I went to the craft store. Again for larger paper. Again for longer-handled brushes. Over and over again, back to the store. /sigh. 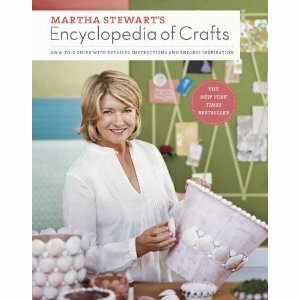 So, before you get sucked into a new craft, think it over, plan, find deals and buy a few things at a time. It's worth it. 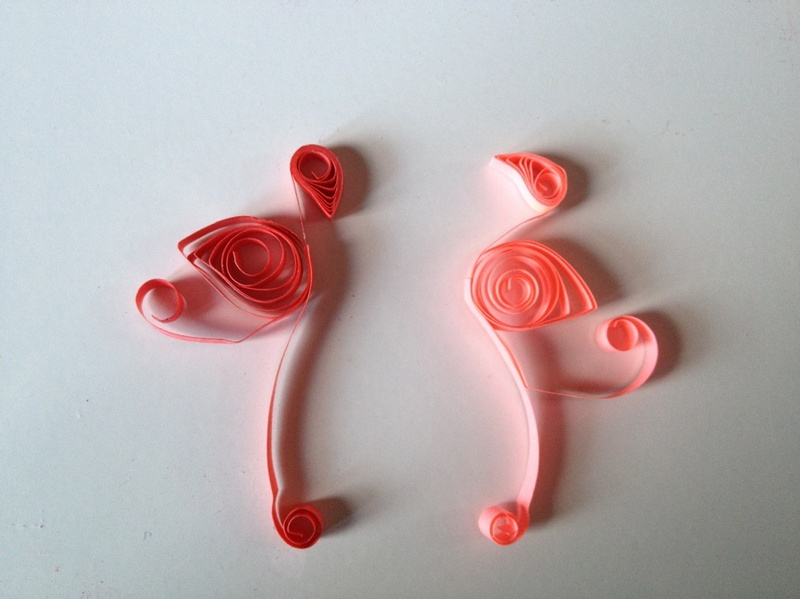 Q for quilling. Beautiful. Decorative fancy letters. I drooled a bit on the book. But you know how, Martha is, lots to look at and think about. Soon quilling was just another to-do on my future craft list. Until I read about Yulia Brodskaya (see previous post). 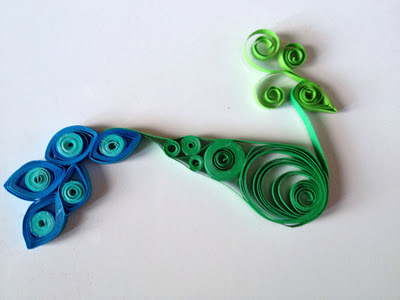 Quilling became a quest. 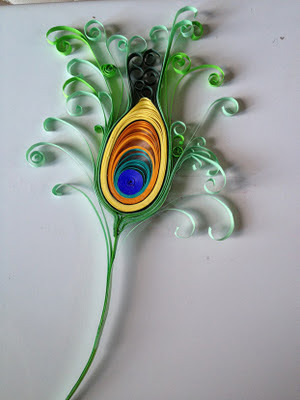 I was on a mission to find quilling tools and read up as much as I could. I think quilling is going to be a new favorite. 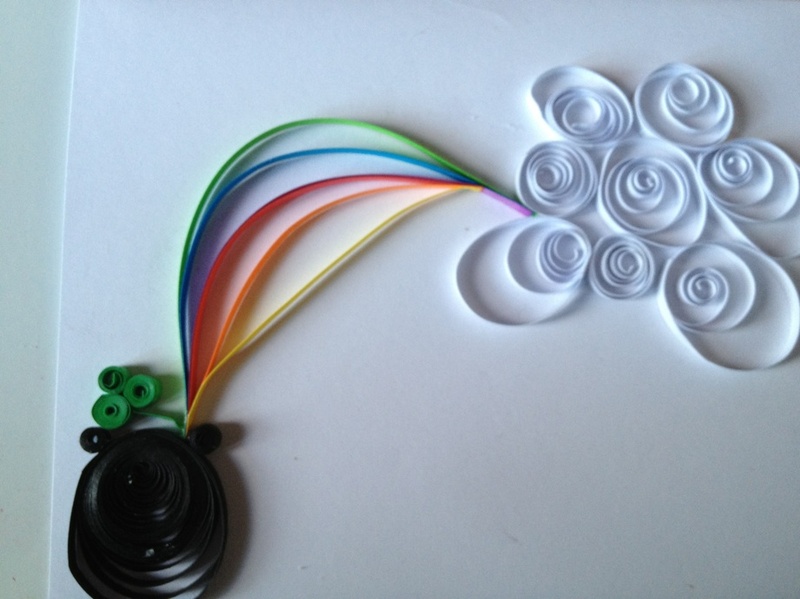 I am excited to take my flower doodles (mostly from math homework pages- ha!) and recreate them using quilled paper. I inherited a bunch of stuff from a great aunt recently. It had been boxed up for ages. 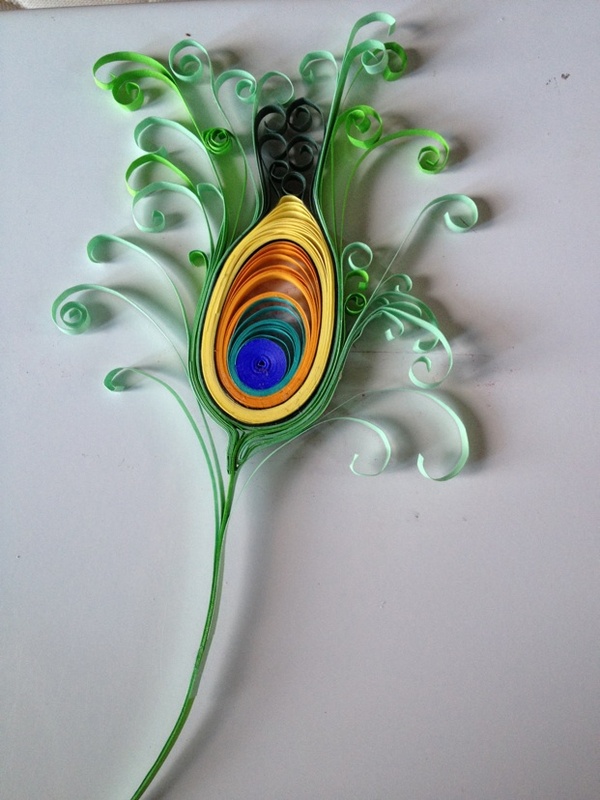 Some of it was quilling, only I had no idea thats what it was until about a week ago. I donated it to di because my hubby didn't want the clutter while I tried to figure out what to do with it. She was very talented! It was all in bright gold frames and with very 70s colors, but they were still beautiful! Now I am bummed!